April 25 | 5:00 pm - 7:00pm 1317 W 86th St, Indianapolis, IN 46260 Discover hand-crafted premium prepared cocktails. Come sample Cayman Jack Margarita. Your new taco-night go-to! April 25 | 6:00 pm - 7:30 pm 7157 Whitestown Parkway, Zionsville, IN 46077 Discover hand-crafted premium prepared cocktails. 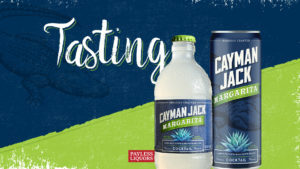 Come sample Cayman Jack Margarita. Your new taco-night go-to!